Baby pink is a HOT color for spring. It’s popping up everywhere and the snow has barely even melted yet. But if baby pink conjures up nightmares of ballerinas and Barbie’s dream house, then you might be a little reluctant to jump on this trend for fear of looking too cutesy. 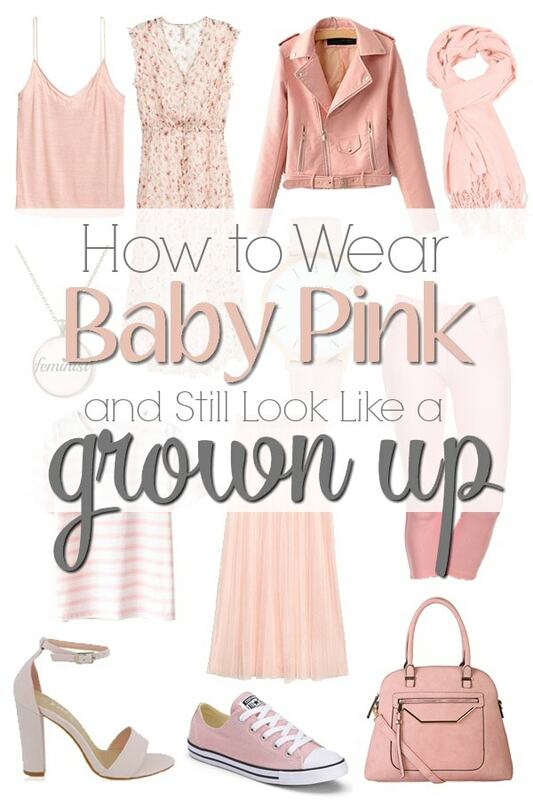 Well fear not, there’s lots of ways that you can wear baby pink and still look like a sophisticated, grown up lady. It’s true! In fact, you might even say that baby pink can sometimes be a neutral when you know how to wear baby pink the right way! Forget the gender stereotypes that come along with a delicate pink, it can be a great color regardless of your gender. While traditionally baby pink represents femininity, it can be a great neutral color as well and paired with other colors, patterns and metallics to make it as dainty or as edgy as you want! First a few suggestions on how to wear this color, then I’ll share some of my favorite pastel pink pieces that will make your budget happy! Pink with white is an easy combo. While it adds a fun little blush of color, it’s still pretty much a neutral and can be worn for any occasion. Adding black with baby pink (especially black leather) gives your delicate pink a punky edge. 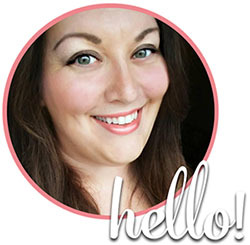 Soft pink and metallic silver go together like chocolate and peanut butter! The combo plays really well together and can add a dressy sophistication to your look. This is another classic metallic you can’t go wrong with and pink and gold are totally on trend right now. A baby pink piece layered with a deeper, richer hue is always a great monochromatic look! This isn’t your dusty mauve and gray of the 80s, but rather a subdued classic that never goes out of style. While you could go with a pink camo look, something a little more subtle can be gorgeous. Baby pink and navy are a classic pairing that can’t go wrong. Don’t be afraid of how to wear baby pink. There’s a shade that works for nearly every skin tone, and it doesn’t have to look overly frilly or precious-you can pair it with edgier colors and pieces for a fun look that still conveys playful springtime fun! Whenever I see this shade of pink, it reminds me of the movie Steel Magnolias when Julia Roberts is describing her wedding venue, decked out in pink-her “signature color”. She goes on to talk about her wedding colors “blush” and “bashful” much to the chagrin of her mother played by Sally Field. It’s a fantastic movie if you haven’t seen it, but whenever I think of pink, I think of blush and bashful! 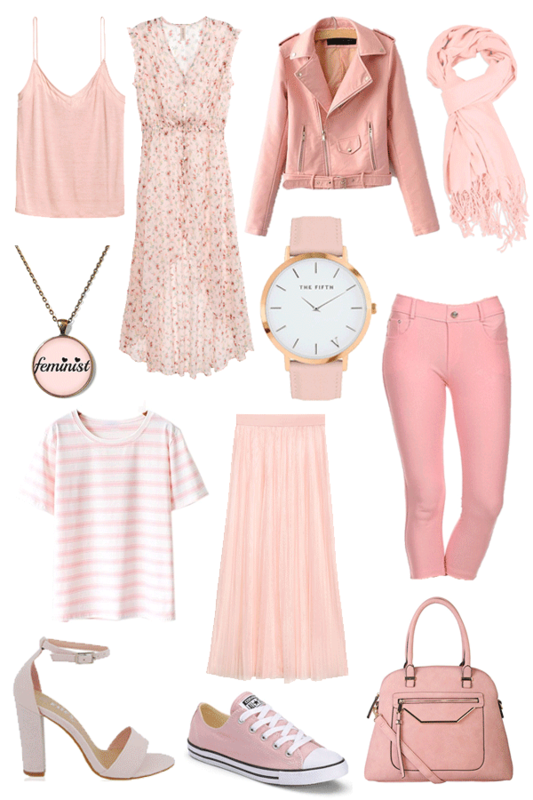 I think my wardrobe needs a little bit of baby pink for spring, what do you think? How do you rock baby pink like a grown up? Now I feel like I need ALL of the things on this list! Love that pleated skirt from H&M but I’d probably crazy in it…LOL! I like to wear it with black or white.